Hanoi has a mixture of different cultures that are present within the architecture that make up the urban landscape throughout the city. The dominant French colonial imprint is most obvious and then there is the Soviet era influence, all interbred with the Vietnamese style of architecture to adapt to the Southeast Asian tropical, humid environment. It is one of the most beautiful things about Hanoi. 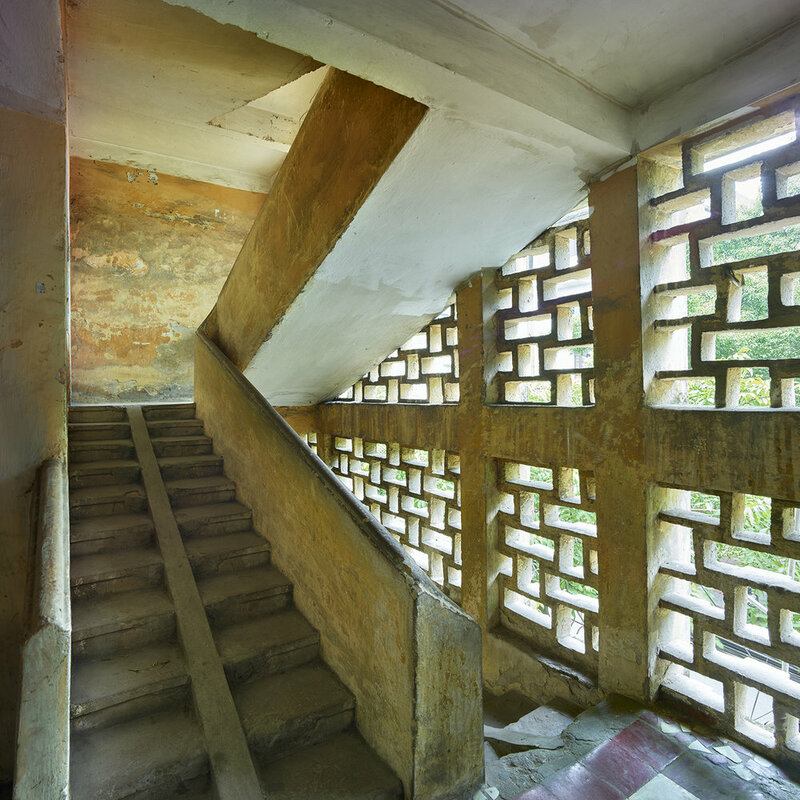 In the early 1960's, a Soviet style apartment block appeared called, Nhà Tập Thể - Community Houses. Generally 3-5 stories in height, they housed many families and in-between the blocks had a court yard with benches and some sort of activity area for children. This fostered a community and a place to gather to socialize for those who lived there.. They were generally reserved for government and military families first, and then those of influence within Hanoi. They were considered luxurious at the time and a privilege to live in. The housing has lasted more than 50 years with variations renovations to the original structures. Now, many dilapidated and degenerated, additions have been added to extend 2-4 meters off the apartments fronts and are covered with bars to prevent theft. 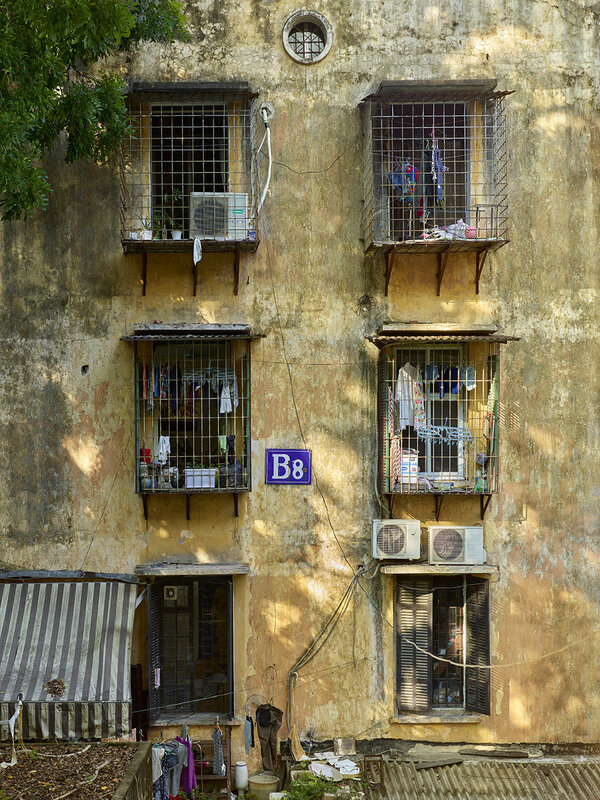 These are referred to as "Cage" or "Tiger Cage" apartments. 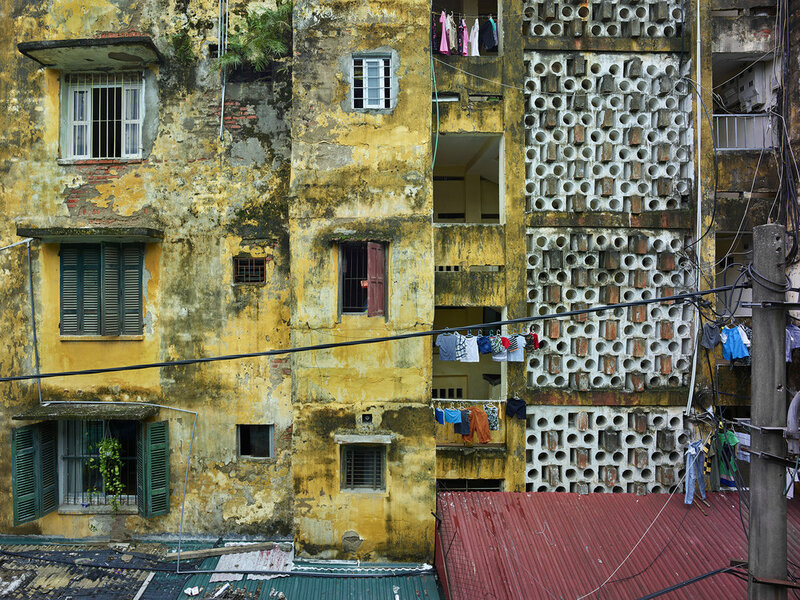 As Hanoi quickly transforms and enters a metamorphic state, rumors are to tear down these Nhà Tập Thể to make room for new, modern apartment blocks. 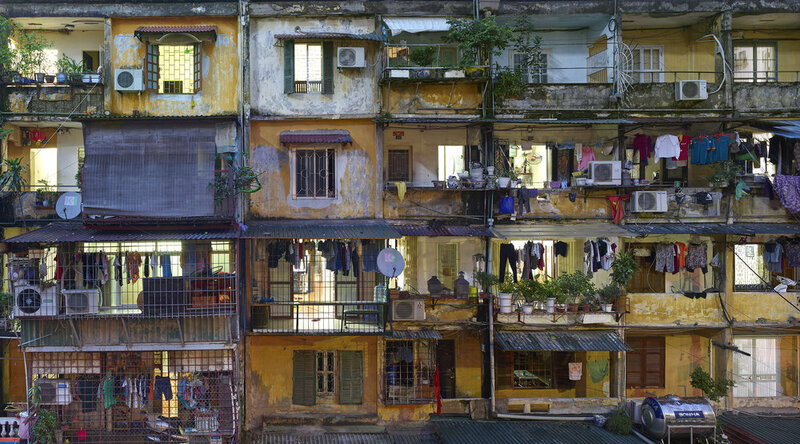 Living in Hanoi for many years, I have seen and been inside these apartments hundreds of times and the importance to me to photograph them has come to a forefront of my work. They are an important historical essence of Hanoi that will no doubt disappear in the not so distant future.